As the lineup has already been showcased at the Auto Expo 2016, this is indeed the time to actually see that concepts that had been visualized at the Auto Expo, 2016! 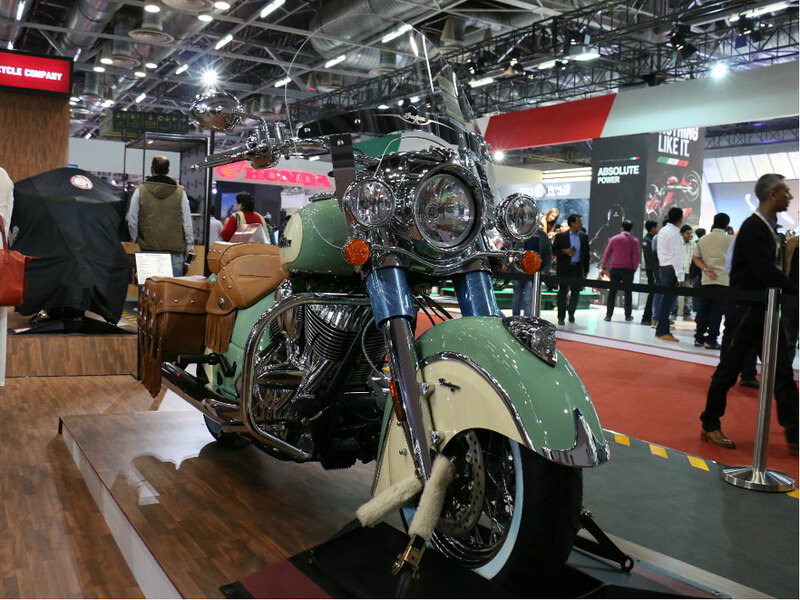 Indian bike had been showcased at the 2016 line-up collection, on the Day-2 of the Auto Expo, 2016. The 2016 product range that is just around the corner is finally out. It certainly has the Roadmaster, Indian bike that has been previously showcased the at the 2016 Auto Expo, while it definitely stirred in the anticipation, making many bike fanatics fall in love with its prowess. The rest of the stars in the lineup comprise of promising models like the Chief Classic, Chief Dark Horse, Scout, Chief Vintage, Chief Classic as well as the Chieftain. The bikes are simply fashionable while you can obviously depend upon their performance as this has been one aspect they all had been proud enough of. The dynamic design and the vivacious presence of the bike look stunning and absolutely stunning for the various bike riders of the country. Talking about the Roadmaster, it is certainly one of the top most range and of course the icing on the cake. This bike has been the most excellent on the road offering by the brand. You can be very sure on its performance, as that has always been out of the box and extremely excellent! The tweaks given to this bike, in term of enhanced comfort, added features that are all certainly boosting the bike’s ease as well as reputation. Major feature add-ons are given to the outstanding instrument cluster, the low fairing glove box, a couch seat at the rear along with a trunk storage option, what else could you think of?